Travel in comfort and style on the superferry European Highlander and enjoy a range of delicious foods in a choice of settings, a coffee shop, a comfortable and stylish bar, and an onboard shop. There's some delicious food on offer in Fables restaurant or if you just want a drink and snack then pay a visit to Poets Bar or Costa Coffee. You can pick up a bargain or two in the Seashop onboard the European Highlander with everything from fine fragrance to wines and gifts on offer. Children are well catered for onboard the European Highlander with their own special space for colouring-in and playing. 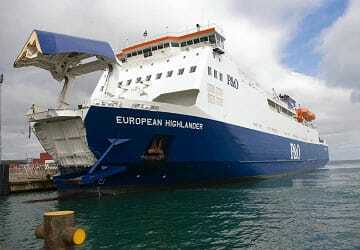 Please Note: Whilst we have taken great care in making our European Highlander guide as accurate as possible, onboard facilities, services and entertainment may vary depending on the date and time of year that you travel, facilities mentioned may change without notification and ferry companies reserve the right to operate vessels other than those mentioned at time of booking without prior notification. Very pleasant and relaxing journey. Staff very helpful. 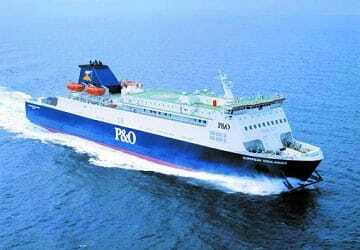 Recommend Direct Ferries to one and all. Will be using them again. Journey was very pleasant and hassle free. Passenger facilities were comfortable. Was a nice trip. Everything went so smoothly, we boarded in good time and disembarked exactly 2 hours later. The employees couldn't have been nicer or more efficient. A most enjoyable journey. Very pleasant experience travelling on the ferry. Quick and efficient parking up and leaving. TV and food on board all very good. We were there before we knew it. "Good journey and free films to watch"
Fast, efficient check in . Left on time. Comfortable lounge and friendly staff. Short journey on calm seas. Can't think of any negatives. The ferries have moved on massively in the last few years. Cabins now all have showers and tea making facilities. The beds are basic but comfortable. There is plenty of seating room in the lounges and plenty of tables and power sockets too. My only complaint would be that when I booked I was told to get there anytime after midnight and I should be able to board. We got there around 12.45AM but didn't boatd until nearly 2.45 so that was a waste of 2 hours. From booking in to the crossing itself, everything was easy. From start to finish, there were no problems. Everything was well signposted and directions from P&O staff were clear. Right from the point of checking in at Cairnryan you could not fault this service. Efficient, well organised and on time. Service in the priority lounge was great and the food was tasty and good portion size. Would definitely recommend this service and will certainly use it again. "Ferry from Larne to Cairnryan"
The outbound journey started with us being at the head of the queue driving into the disabled section. This gave us easy access to the lift which took us to our floor where we were shown the club lounge. It was very nice. We had access to coffee and tea, free nuts and snacks and also a bowl of fruit. We were able to order a hot meal if wished. This lounge could only be used by people who had a room code and was paid for in advance. On the return journey we decided not to use the club lounge and found that the lounge area was just as nice, although we had to pay for our coffee and snacks. I think in future I will just be using the basic facilities as they were adequate. 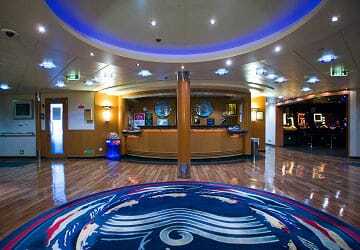 "Cairnryan ti Larne in the Club Lounge"
Comfortable crossing in pleasant surroundings of the Club Lounge. Comfortable, clean seating. Staff were attentive without fussiness. 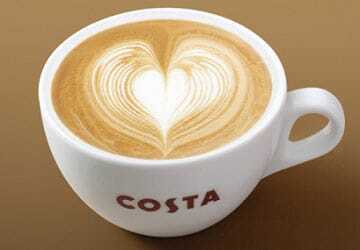 Quality of tea, coffees and snacks was sufficiently appetising. Crossing was punctual.